Jacksonville Jaguars coach Doug Marrone has no plans to punish running back Leonard Fournette following his arrest for driving with a suspended license. 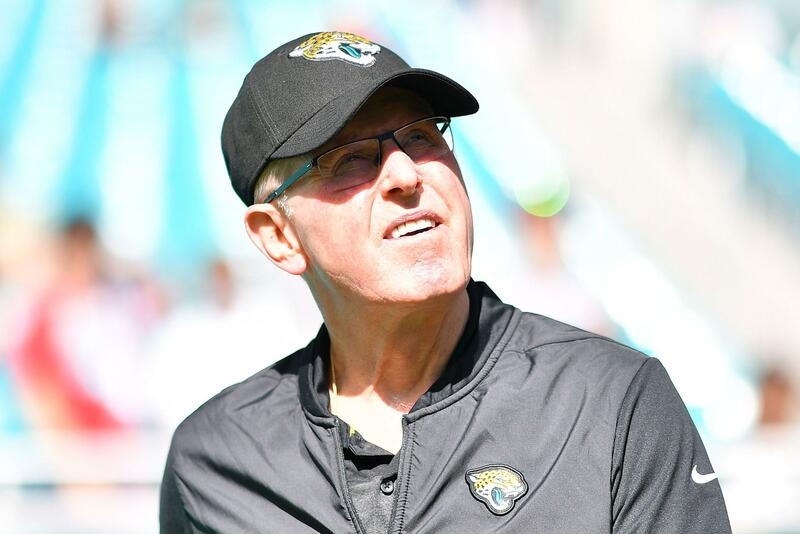 Marrone made it clear Tuesday that Fournette made a mistake, saying &apos;&apos;a law was broken,&apos;&apos; but added that the team would have no further discipline for the fourth overall pick in the 2017 NFL draft. &apos;&apos;I don&apos;t want to get into where I stand here and I&apos;m trying to lessen anything,&apos;&apos; said Marrone, who was arrested for a similar issue in 1997. The Green Bay Packers have claimed kicker Sam Ficken off waivers from the Seattle Seahawks, bringing in potential competition for 13-year veteran Mason Crosby. Ficken was added to the roster Monday, three days after he was dropped by the Seahawks. The Penn State product has also spent time with the Jacksonville Jaguars, Kansas City Chiefs and Los Angeles Rams. Wentz didn&apos;t sound concerned about where he&apos;s at in mid-April, but all eyes will be on his recovery as the Eagles offseason goes on. 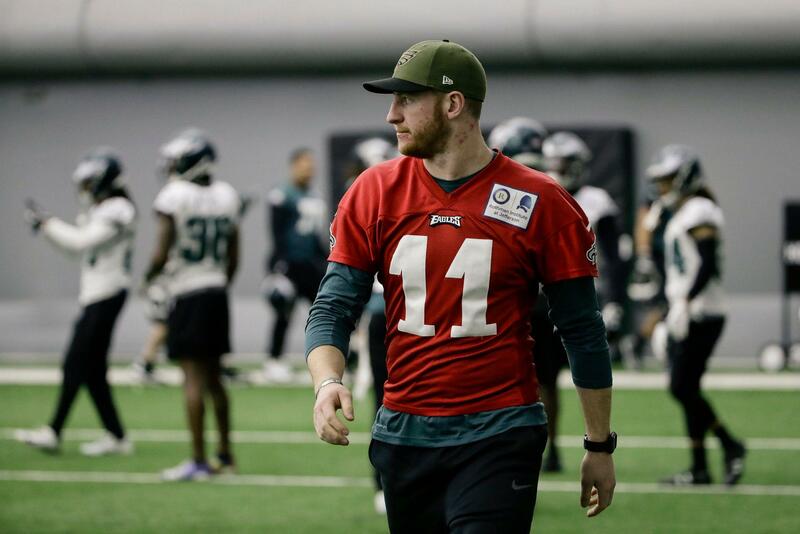 Carson Wentz on back injury: &apos;Still getting there&apos; Wentz said he still has a goal of being ready by the Eagles&apos; first OTA practice on May 21, but that there was “no timetable” and “no rush. Feeling good,” Wentz said. Jacksonville Jaguars running back Leonard Fournette was arrested Thursday for driving with a suspended license and released a short time later. Fournette paid a $1,508 bond and was freed after spending less than 30 minutes in the Duval County Jail, according to jail records. Fournette was pulled over after a Jacksonville Sheriff&apos;s deputy clocked him driving 65 mph in a 45 mph zone, according to the police report. NFL Rumors: Patriots sign Austin-Seferian Jenkins to one-year contract originally appeared on nbcsportsboston.com The New England Patriots took a notable step to fill Rob Gronkowski&apos;s void Wednesday. Tom E. Curran has confirmed that the Patriots have signed free-agent tight end Austin Seferian-Jenkins to a one-year contract Wednesday. ESPN&apos;s Field Yates was the first to report the news. The NFL released the 65-game 2019 preseason schedule Tuesday, kicking off with the Hall of Fame game between the Denver Broncos and Atlanta Falcons on Aug. 1 in Canton, Ohio. After the Broncos-Falcons clash (NBC, 8 p.m. ET), there are four nationally televised games scheduled for Week 2 of the preseason and three more for Week 3. The Philadelphia Eagles are looking to agree on a long-term deal with star quarterback Carson Wentz, according to vice-president Howie Roseman. Wentz is entering his fourth year in the NFL. Injuries late in the season have forced him to miss significant time in the playoffs, including the Eagles&apos; Super Bowl LII victory. You are currently browsing the archives for the Jacksonville Jaguars category.